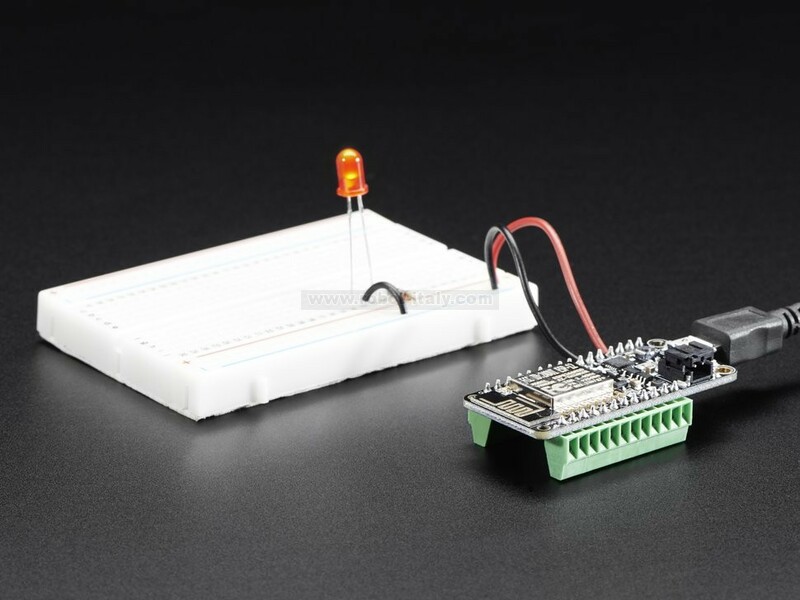 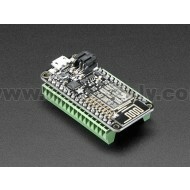 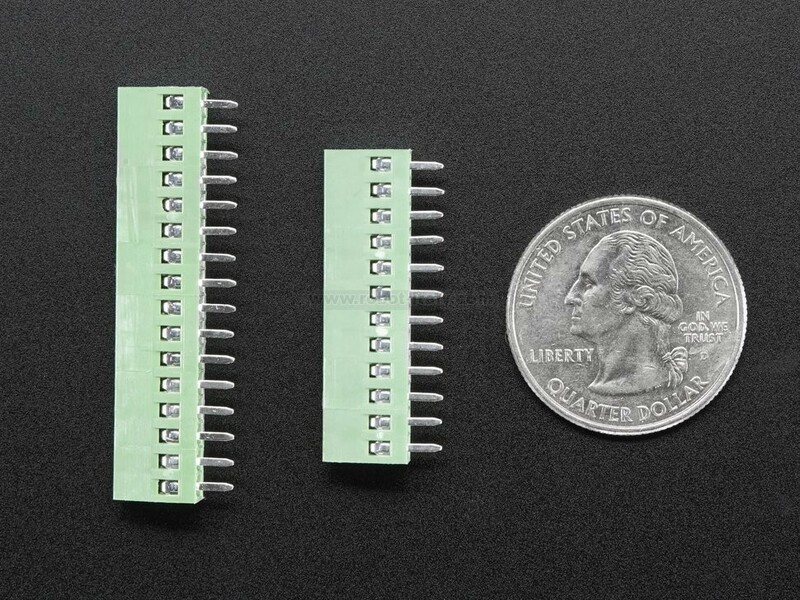 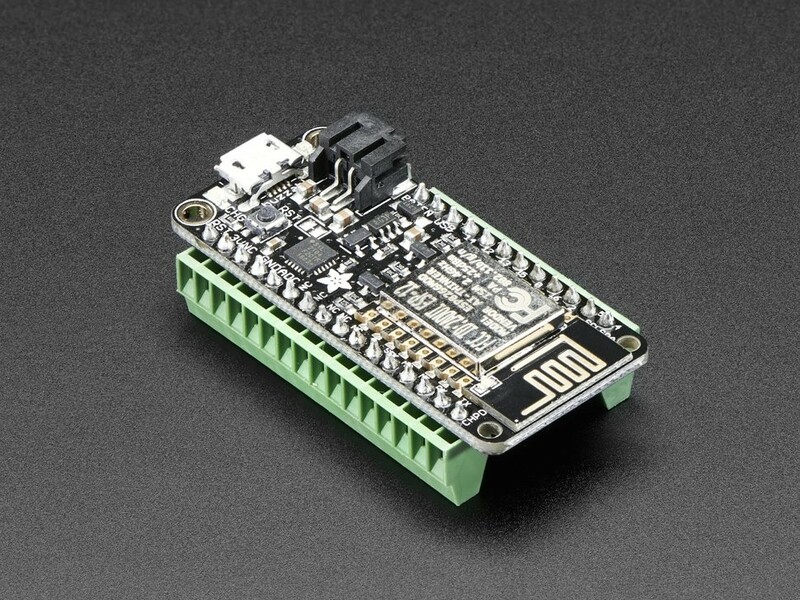 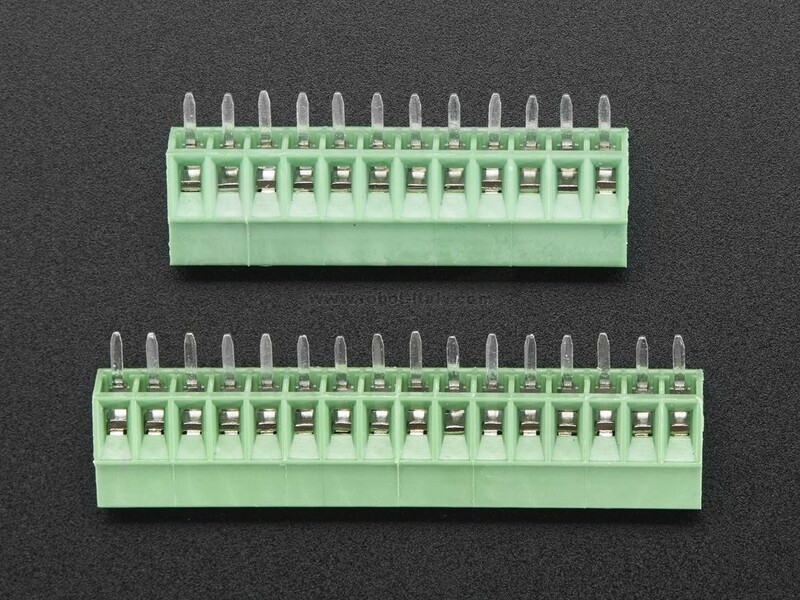 These 0.1" Pitch Terminal Blocks, are exactly the right size to it your Feather board or FeatherWing. 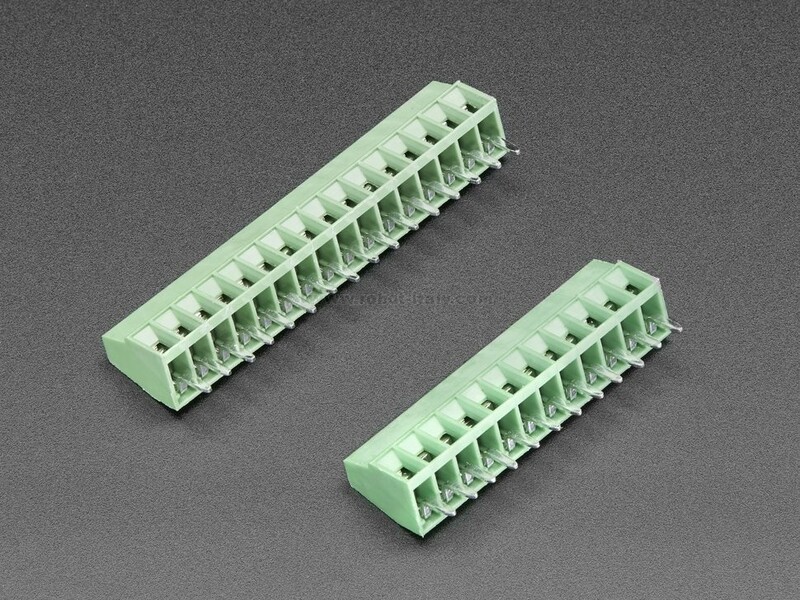 They are great news since nothing makes a project harder to maintain than a lot of loose wiring. 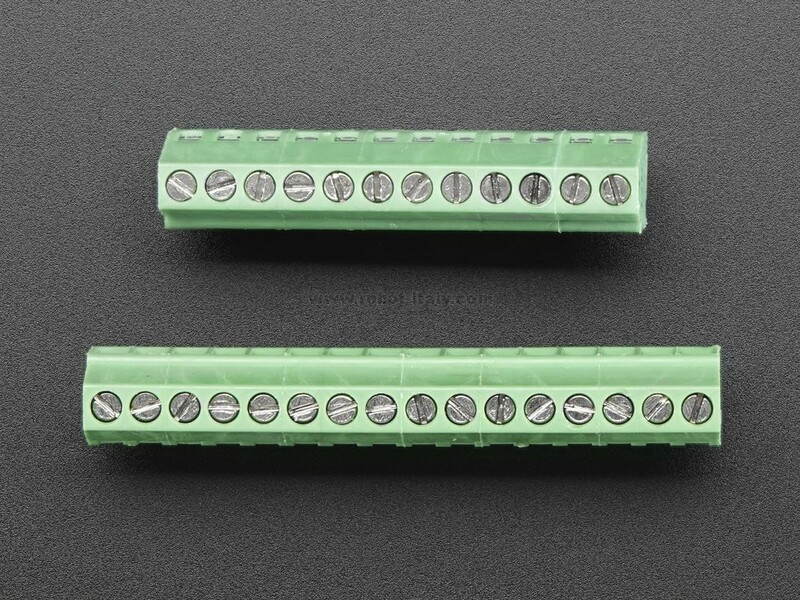 16-Pin Terminal Block Dimensions: 41.1mm x 6.2mm x 8.6mm / 1.6" x 0.2" x 0.3"
12-Pin Terminal Block Dimensions: 31.1mm x 6.2mm X 8.6 mm / 1.2" x 0.2" x 0.3"